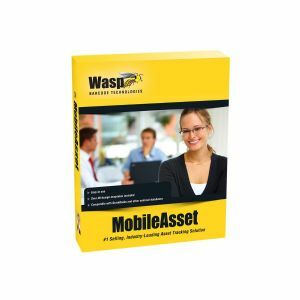 Wasp MobileAsset is the asset tracking solution for small to medium-sized businesses. Wasp has perfected an all-in-one solution to solve the asset tracking needs of government and educational agencies, healthcare, and small to large companies across the globe. This asset tracking solution is capable of meeting the high demands of your business while still remaining simple enough to master right out of the box!If you're currently using a spreadsheet, or pen and paper, MobileAsset will improve efficiency and reduce cost by automating your asset tracking process. MobileAsset takes asset management to a higher level, giving you the ability to save time and money, end equipment losses, improve equipment maintenance, gain control over new and unnecessary equipment purchases, and more accurately compute taxes based on depreciation schedules.MobileAsset asset tracking solution stores the transaction history of an asset, so you know where it has been, how many times it has been broken or serviced, and who was the last person to check it out and for how long. MobileAsset even gives you the power to easily audit your assets to ensure 100% accuracy.MobileAsset is the perfect asset tracking software when you need the flexibility and freedom of a mobile device. Managing company assets from behind a desk with a PC is frequently inefficient, if not impossible. MobileAsset can be used on a mobile device so that you can track assets in remote locations, in different rooms, buildings, or in the field.